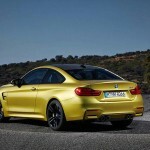 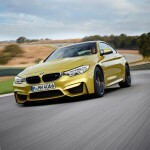 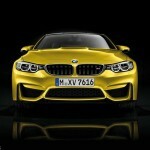 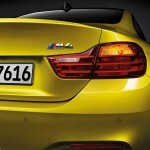 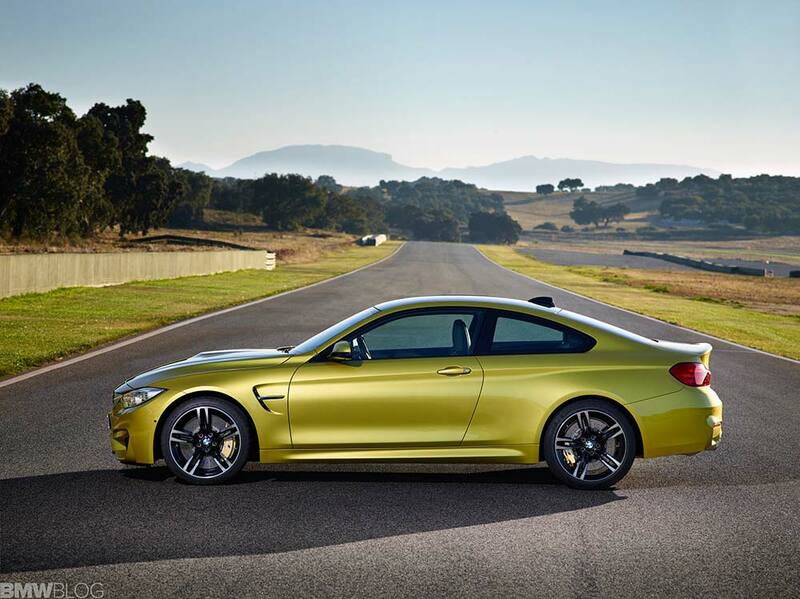 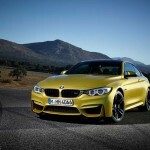 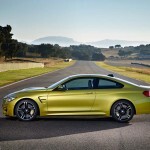 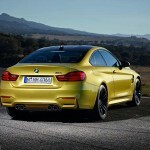 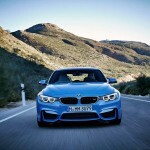 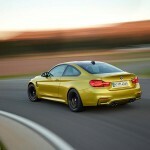 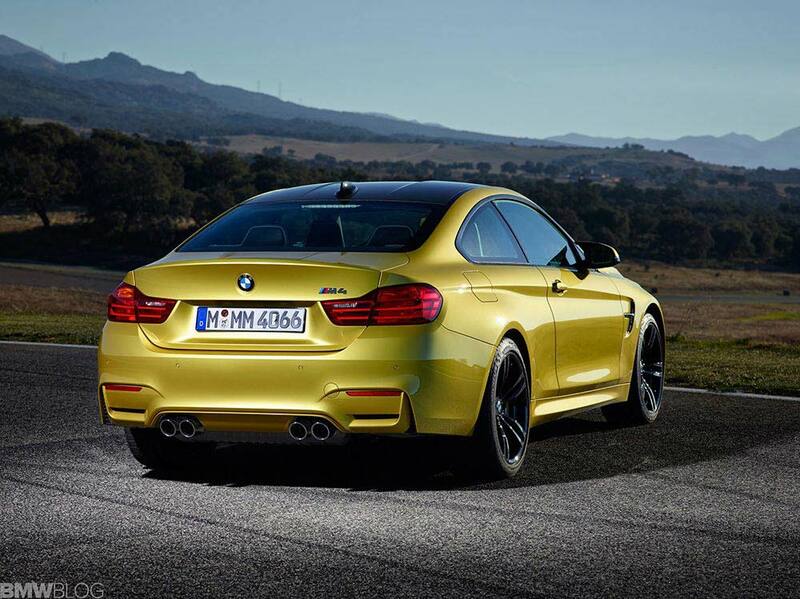 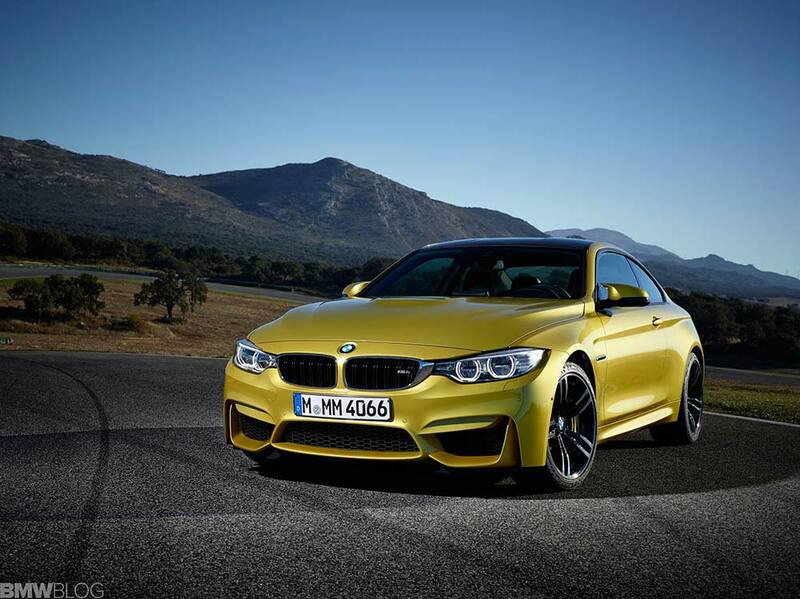 After a period of time comparable to the evolution of man, today is the day that BMW reveals its new M4 Coupe and M3 Saloon models and here are the first images. 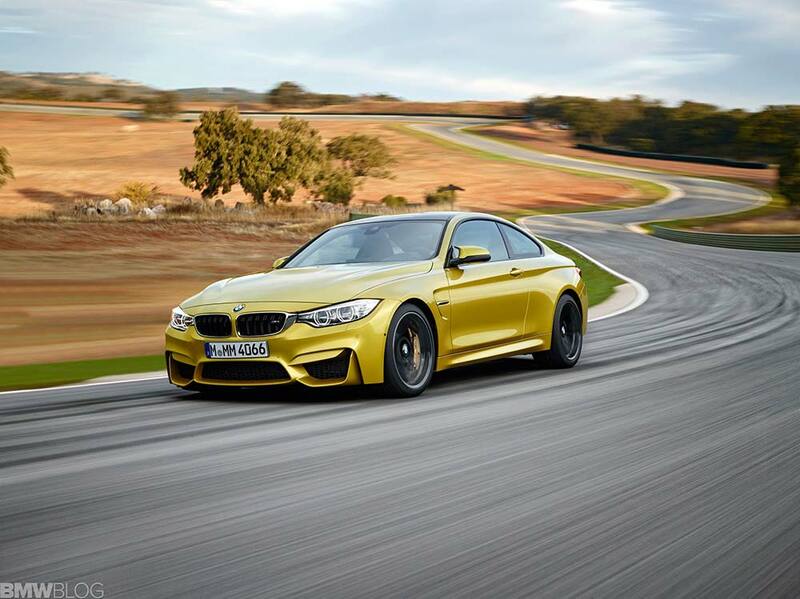 Aggressively styled, the low-slung M4 and M3 differ from their regular counterparts thanks to the power dome on the hood, a CFRP (carbon fibre-reinforced plastic) roof, bulging wheel arches, wider side skirts and trademark M fender gills. 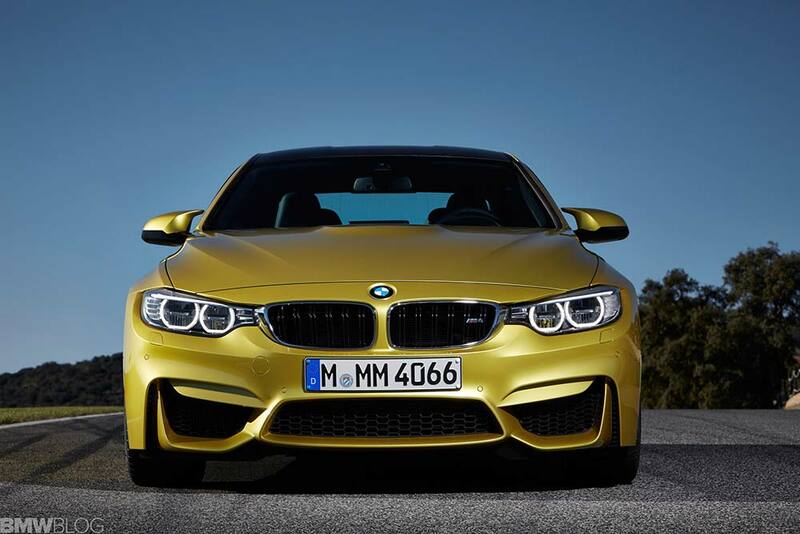 There’s also a gloss black kidney grille with double slats, a sculpted front bumper with large air intakes, boot lid spoiler and rear bumper with air outlets and a diffuser that shrouds quadruple tailpipes. 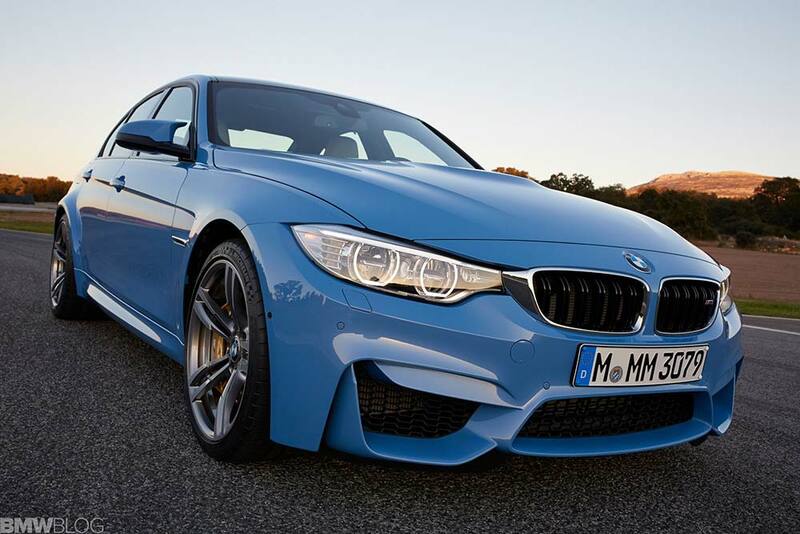 A set of 19-inch forged M alloy wheels complete the look. 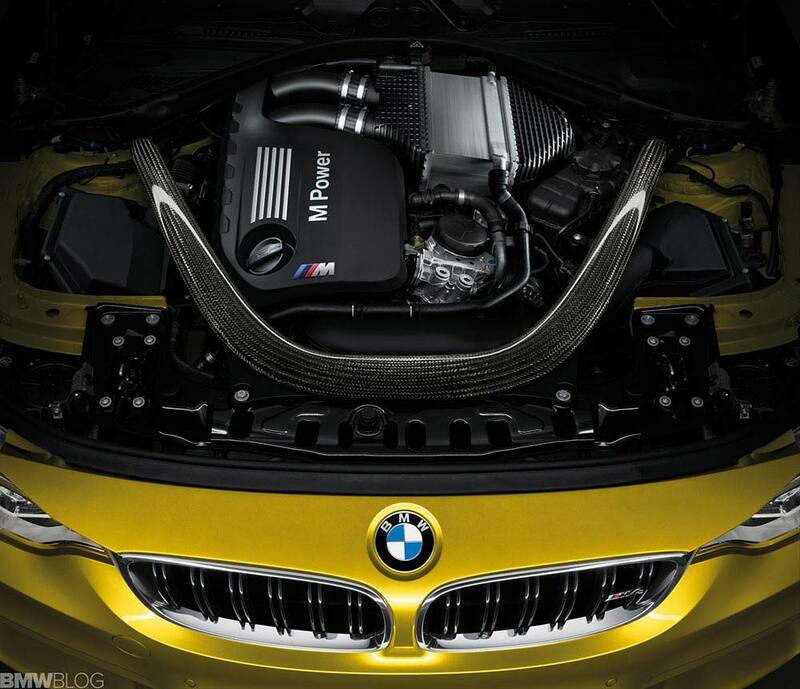 Under the hood lies the new twin-turbocharged 3.0-litre S55B30 in-line six-cylinder fed by two low internia turbocharger units. 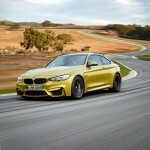 Mated to a 6-speed manual or optional 7-speed M-DCT transmission, 316 kW (430 hp) and 550 Nm of torque is sent to the rear wheels via a lightweight carbon fibre reinforced prop shaft and revised M differential utilizing an electric actuator to constantly vary the locking effect – anywhere between 0 per cent and 100 per cent. 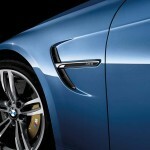 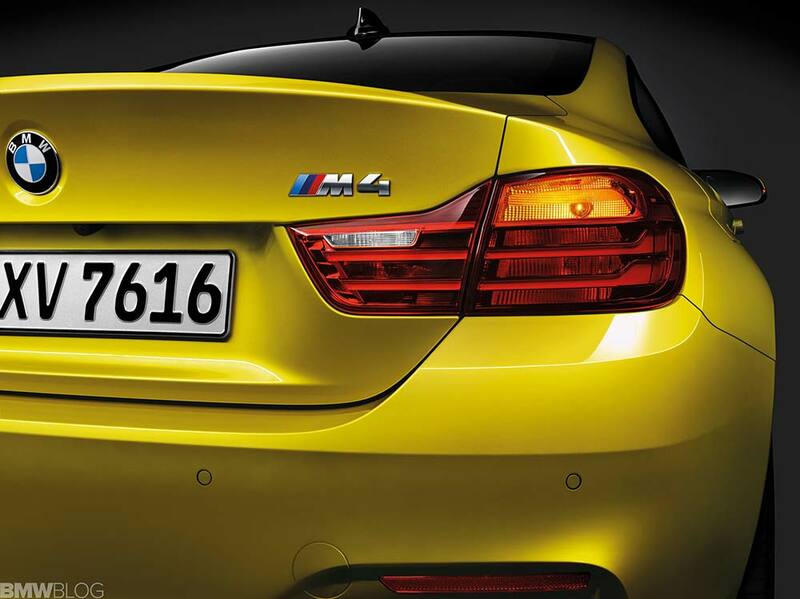 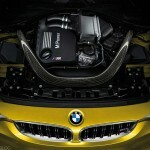 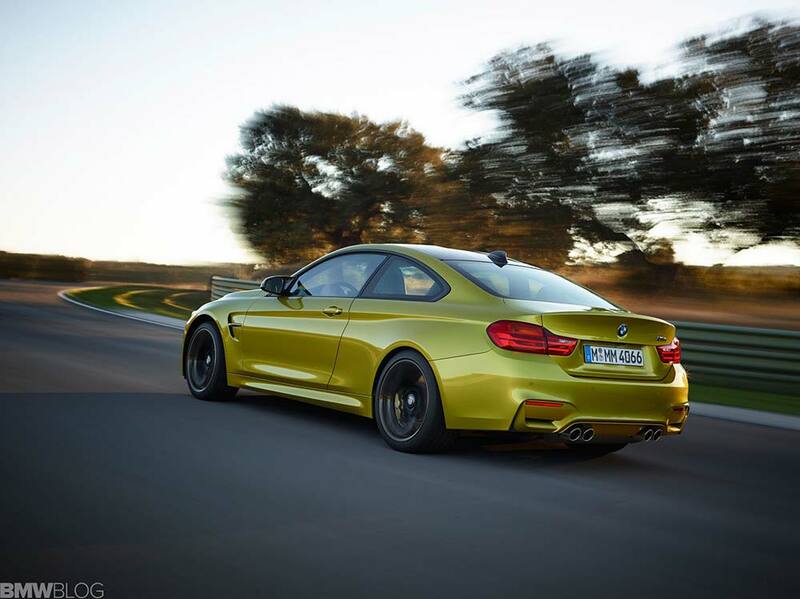 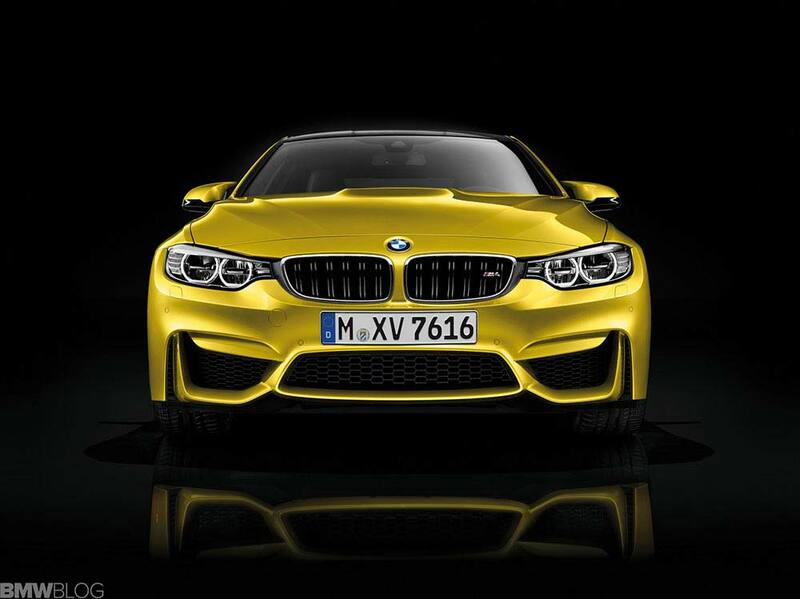 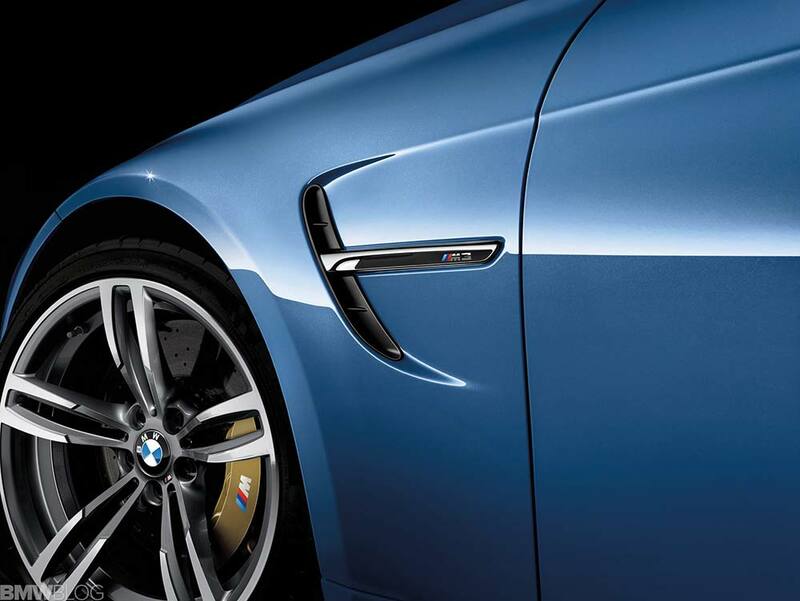 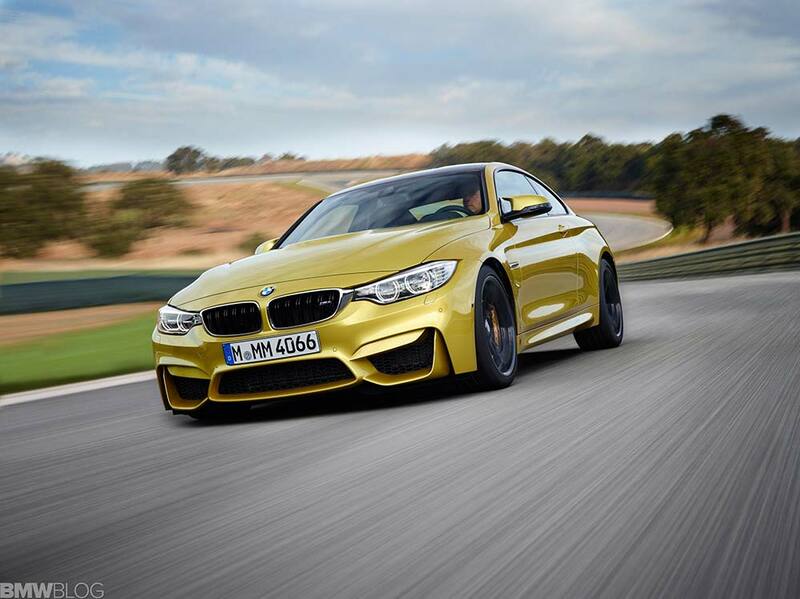 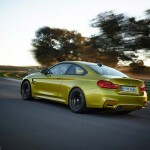 Other weight-saving measures, including an aluminium hood and front wings, help the M4 and M3 to tip the scales at 1497 kg and 1520 kg respectively, with BMW stating that both vehicles crack 100 km/h in 4.1 seconds. 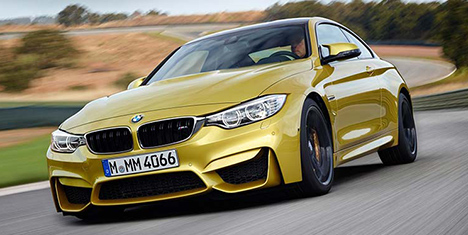 Maximum speed is electronically restricted to 250 km/h (155 mph); if the optional Driver’s Package is specified, this limit is raised to 280 km/h (174 mph). 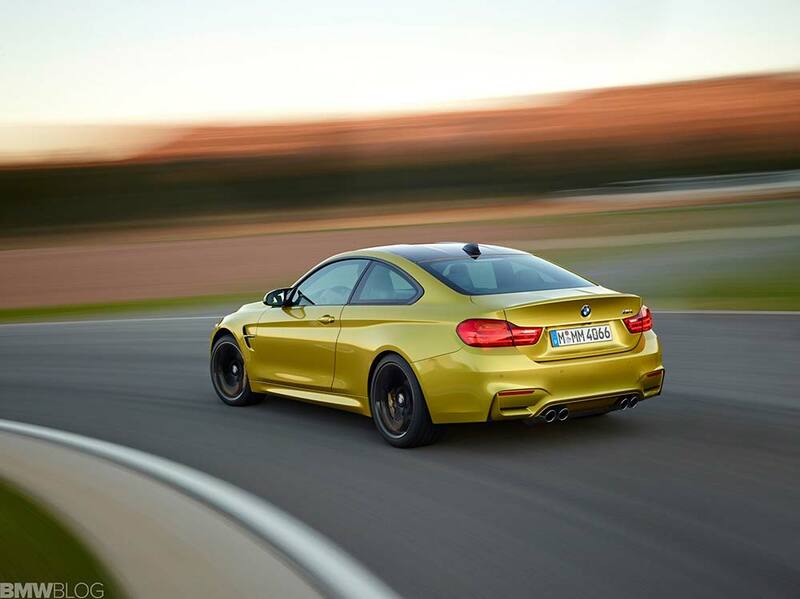 The stop/start function and brake energy recuperation systems help to return an improved average fuel consumption figure of 8.3 litres per 100 kilometres (34 mpg) with CO2 emissions of 194 g/km. 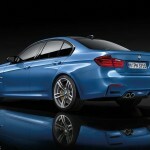 Forged aluminium suspension components along with a choice of Comfort, Sport and Sport Plus adaptive damping settings and a new axle carrier mounted directly to the bodyshell increase rigidity and handling dynamics, while the electro-mechanical Servotronic steering features Efficiency, Sport and Sport Plus driving modes. 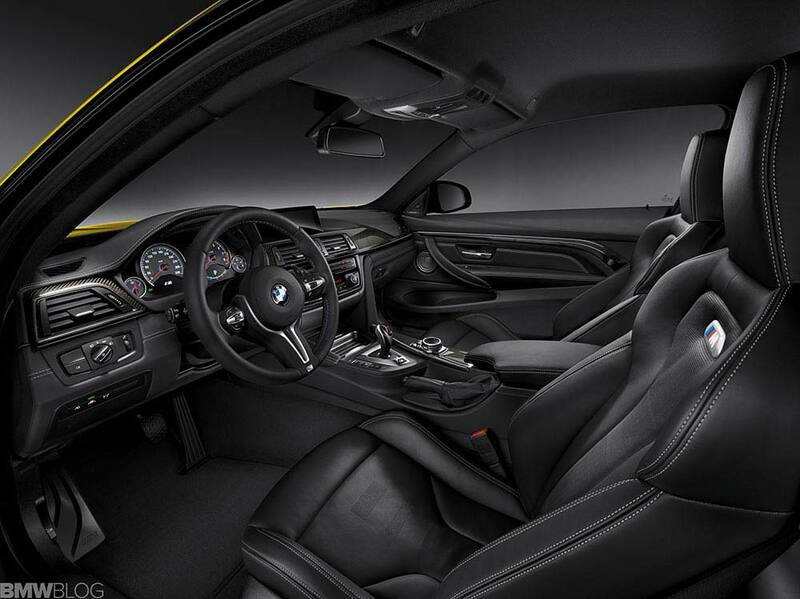 Moving inside, the bucket-style seats in the front are electrically adjustable and heated and feature illuminated M logos, while the rear bench is constructed from a composite material and can be folded in a 60:40 split. 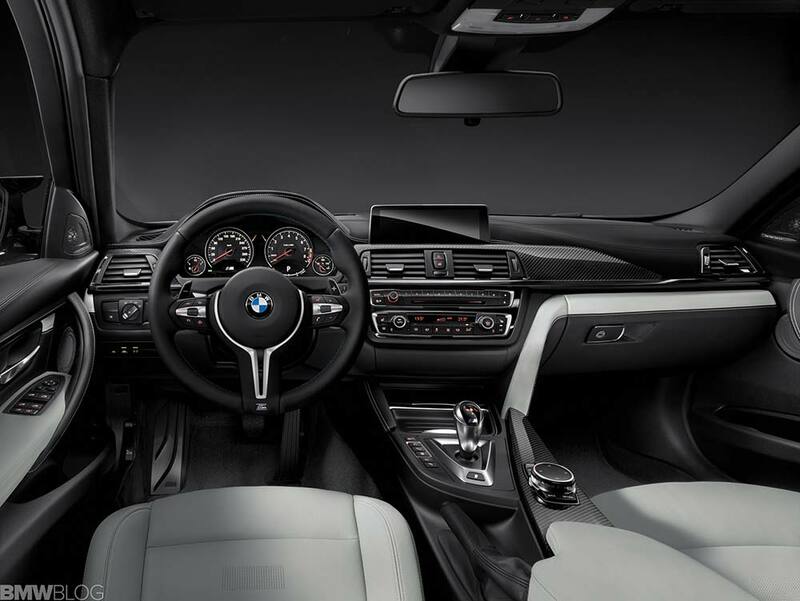 There’s also a leather-trimmed M steering wheel, exclusive sill plates, an Anthracite BMW Individual headlining, and the optional M Head-up Display. 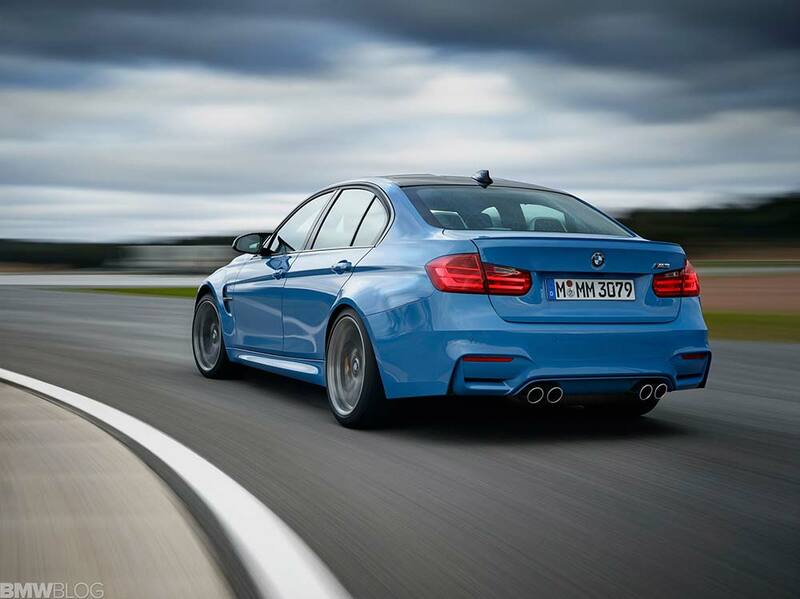 Owners can also download the BMW M Laptimer app to their smartphone, which – once connected to the car’s USB port – records such data as speed, longitudinal and lateral acceleration, engine revs, the gear engaged, steering angle, accelerator position and fuel consumption. 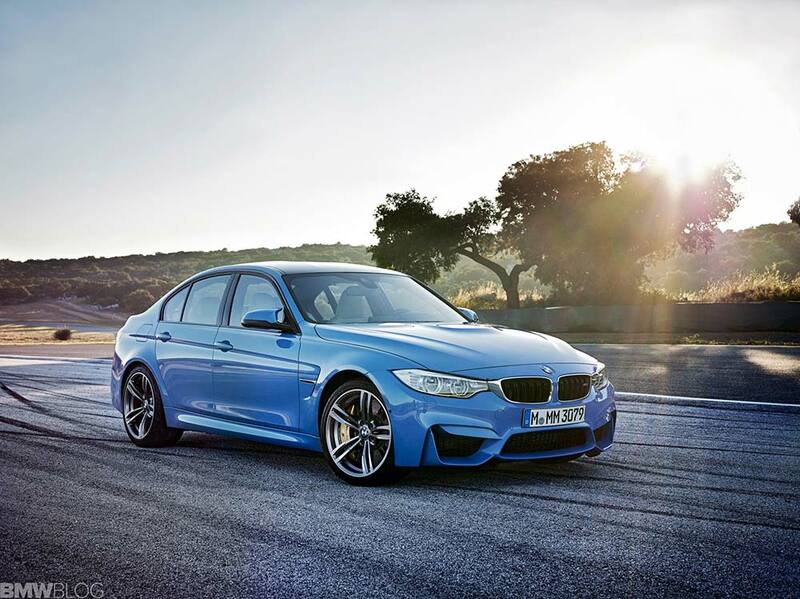 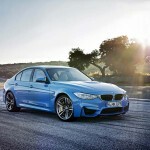 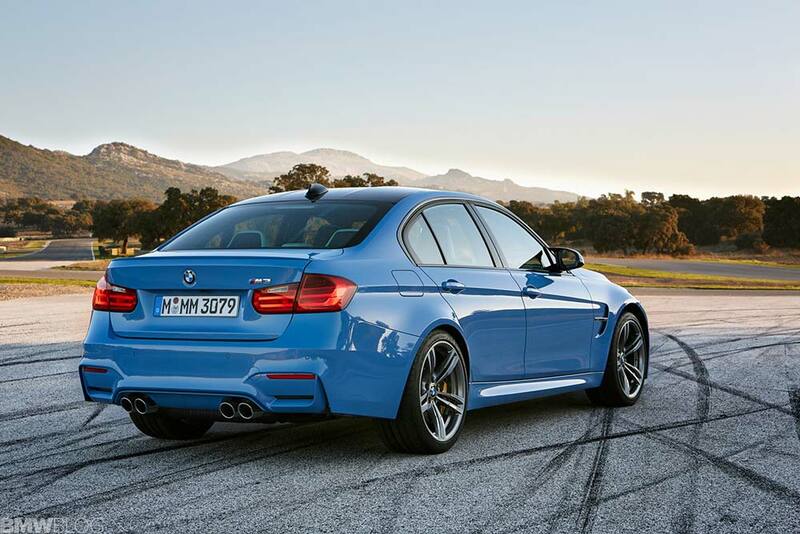 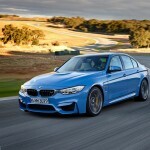 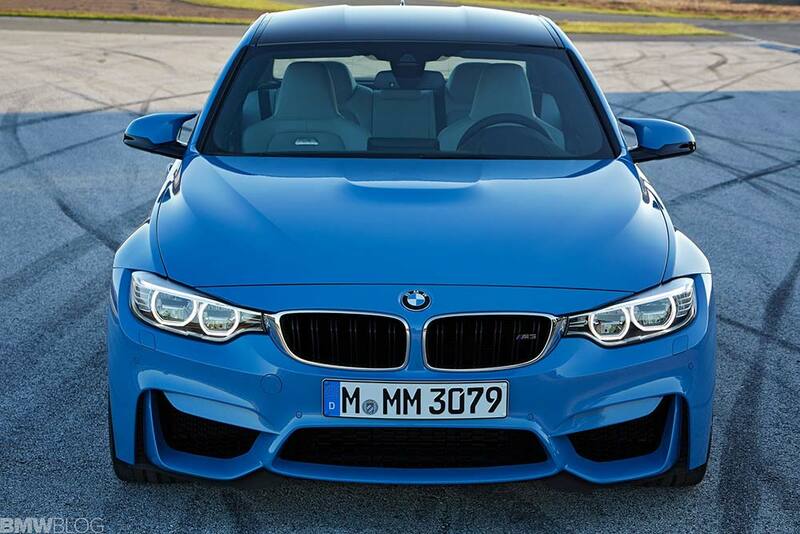 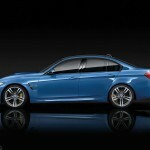 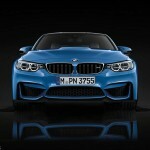 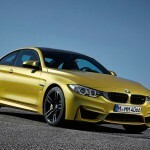 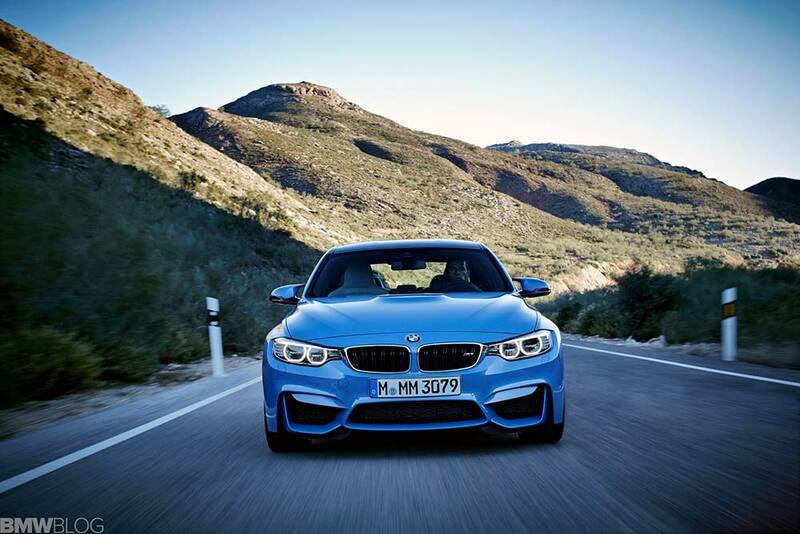 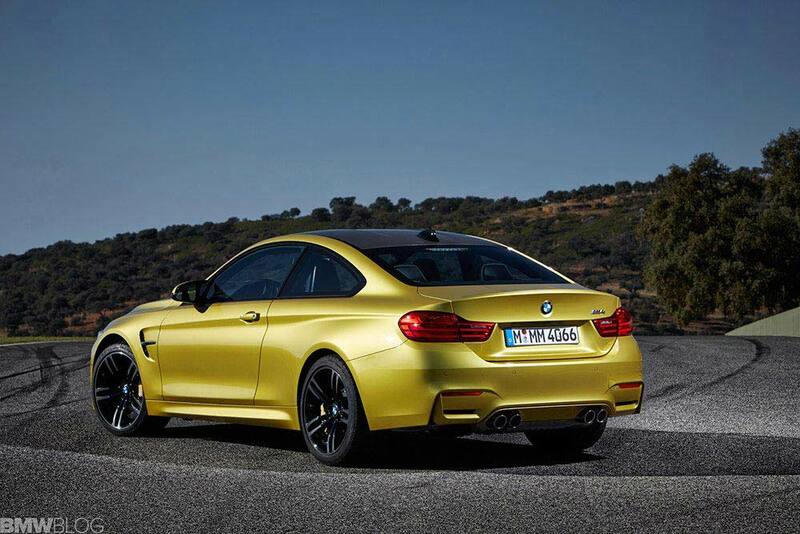 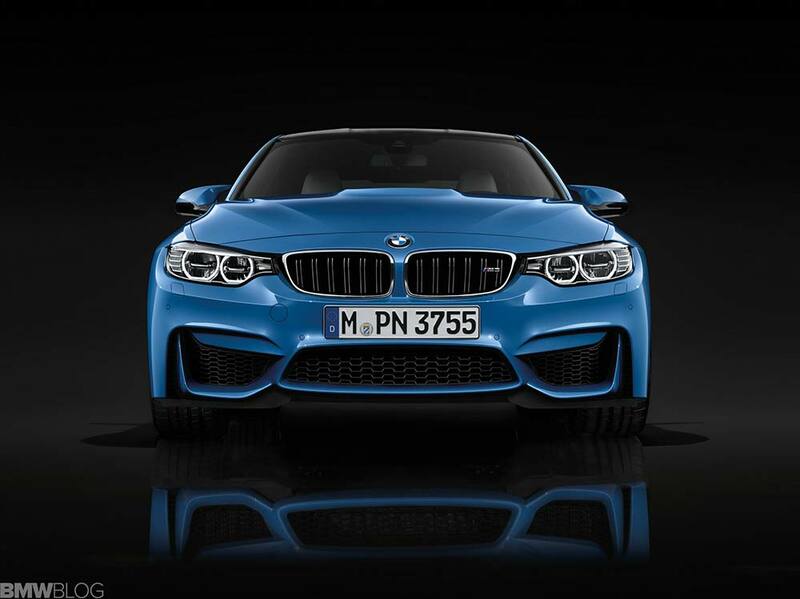 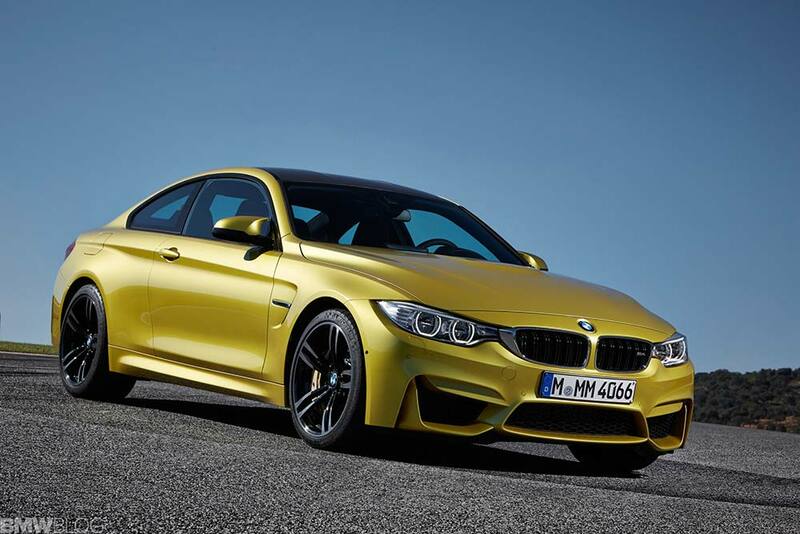 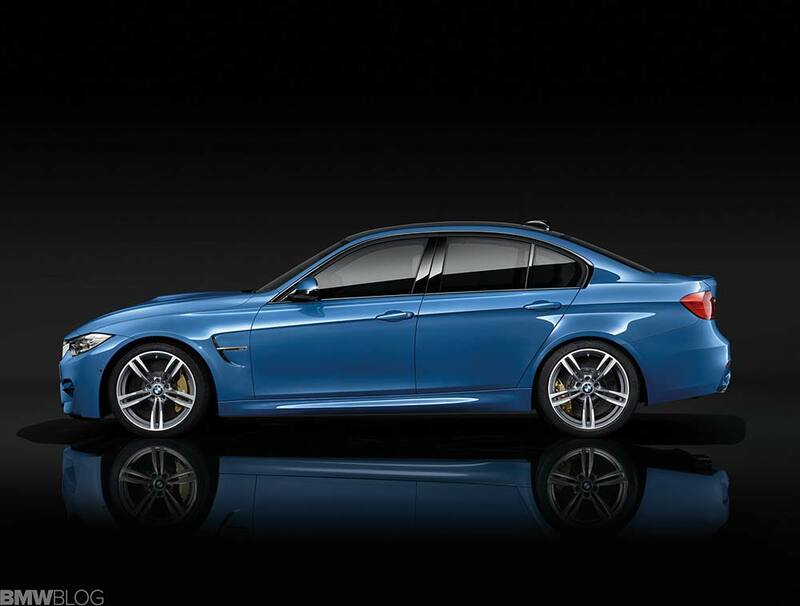 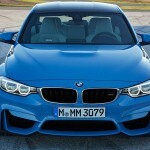 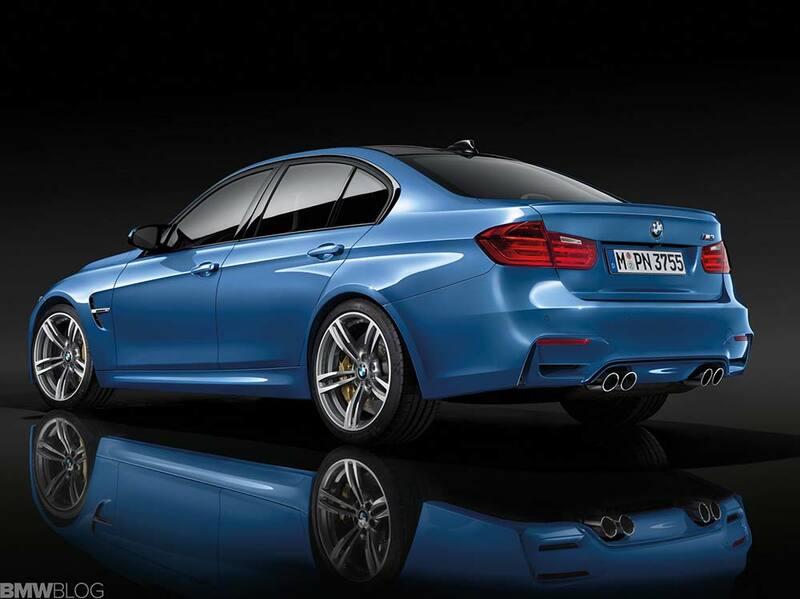 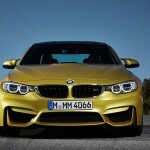 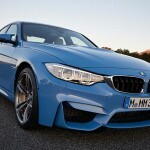 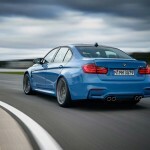 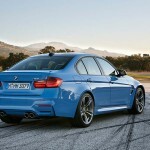 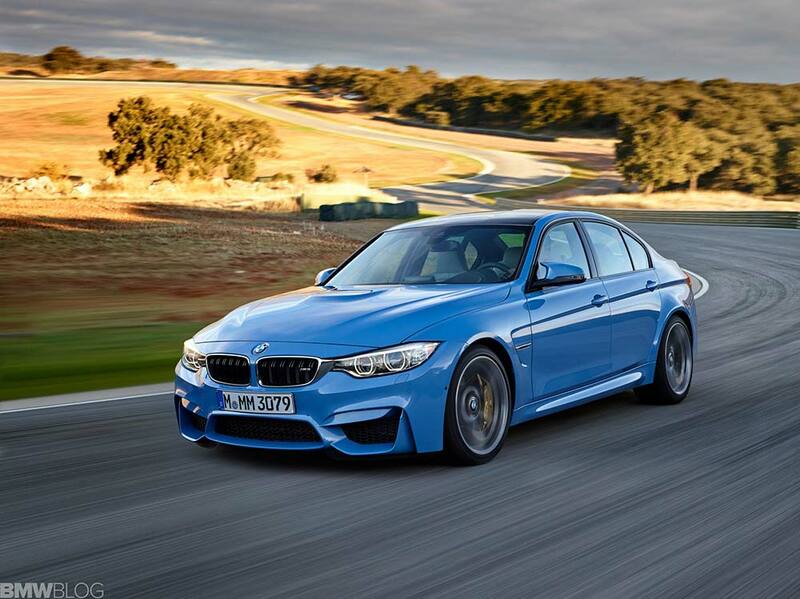 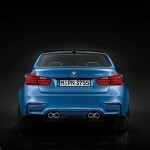 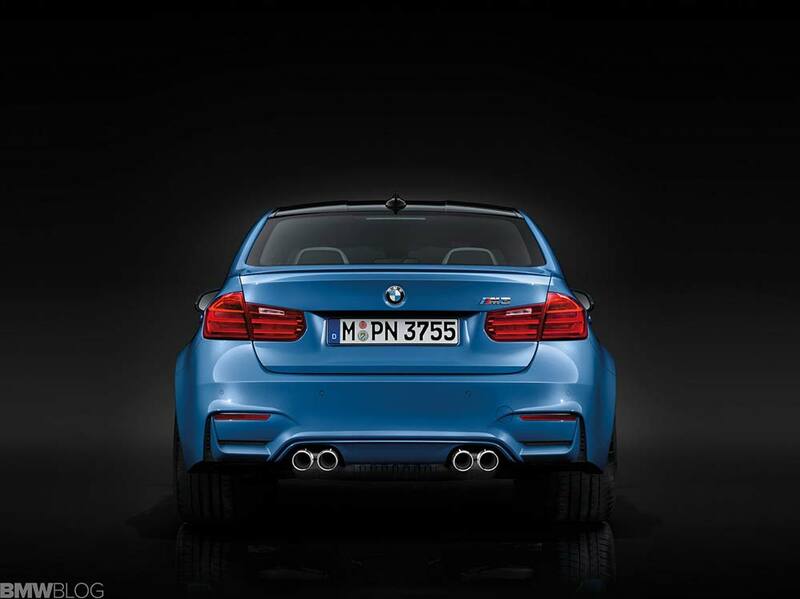 Due to be launched in June 2014, pricing in the UK will start at £56,175 OTR for the M3 Saloon and £56,635 OTR for the M4 Coupe.